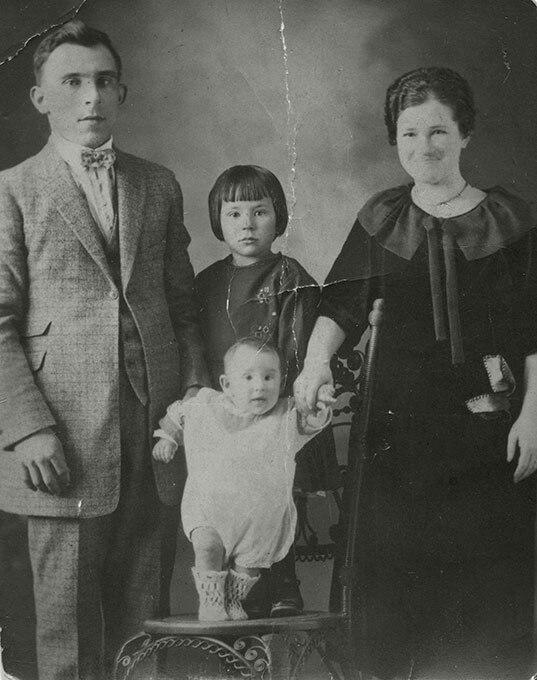 Black and white studio portrait of the Pitton family taken in Powell River, BC in 1924. Antonio and Antonia Pitton stand on either side of a wrought iron chair. Their two daughters stand on the chair; Nellie is standing in the back wearing a dark coloured dress, while her sister Armida is in the front wearing white.